Unlike a homeowners insurance policy that covers rare occurrences such as fire, theft and severe weather damage, a home warranty contract protects you against life’s everyday disasters – the frustrating home system and appliance breakdowns that disrupt your routine and wreak havoc on your monthly budget. Including a home warranty in your real estate listing may help your home sell faster and at a higher value. 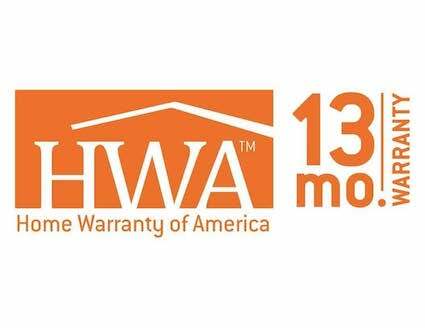 Home Warranty of America (HWA) - With HWA you're prepared when essential home appliances and mechanical systems fail due to normal wear and tear, and protected against the surprisingly high cost to repair or replace them. Home Warranty of America is a nationwide leader in the home warranty industry with two decades of experience helping homeowners feel confident when buying, selling or just plain living in their homes.